I don't know why, but I have held something against lentils and legumes and have been hesitant to try them in new recipes, but it gets hard to avoid meat and dairy and not use these ingredients which are so good for you. 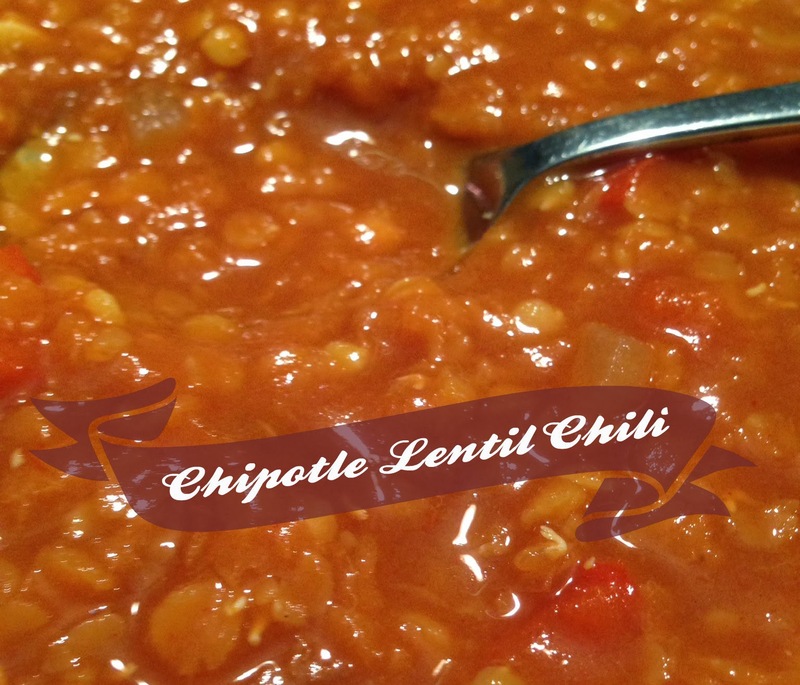 I came across a recipe by Whole Foods for a Lentil Chili and thought it sounded good. I have a hard time sticking to recipes entirely and always end up changing something (sometimes it goes well, sometimes not...) I made some changes and tweaked here and there and this is the recipe that I intend to follow forever. It is SOOOO good. Heat a large pot over medium/high heat. When hot, add onion and bell pepper; cook, stirring frequently, until vegetables brown and begin to stick to the bottom of the pot (about 6 minutes). Stir in 3 tablespoons of broth and continue to cook, stirring, until onion is soft and lightly browned. Stir in garlic and chili powder and cook 1 minute, stirring constantly. Add lentils, tomatoes and remaining broth. Bring to a boil, reduce heat to medium-low and simmer, partially covered for 30 minutes or until lentils are almost tender. Uncover and cook 10 minutes longer. Stir in cilantro and serve. It makes enough for dinner for a family of four and lunch for two (and we aren't light eaters).